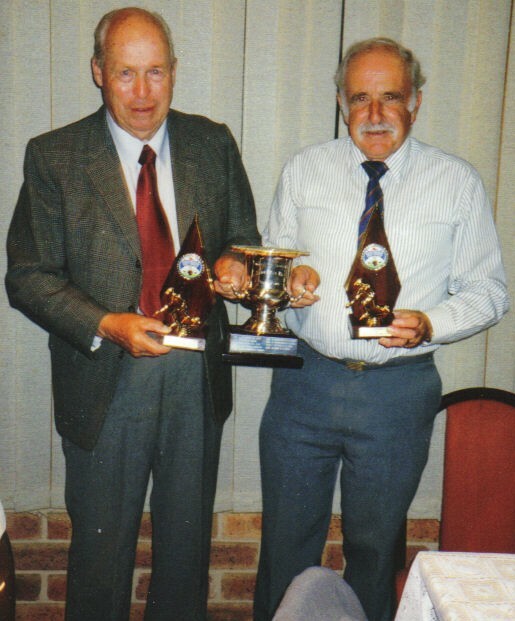 Mike Crisp (right) wins the 2005 Men's Pairs Championship at Eastwood Bowls Club, Melbourne,Australia.. Mike is a former long standing player member of the Club; fast medium bowler and a powerful hitter. He and his family moved to Australia about 20 years ago. 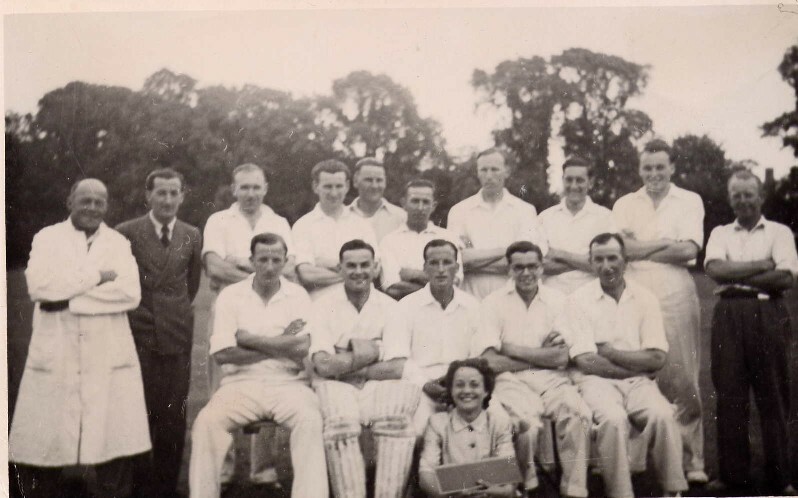 St.MCC lst.XI circa 1950 : Back row Albert Mead,Ted Challis,Roy Spicer,George Griffin,Benny Welsh,Jim Welsh, Ernie Pearce,Maurice Emery,Peter Sullivan, Ernie Hastler. 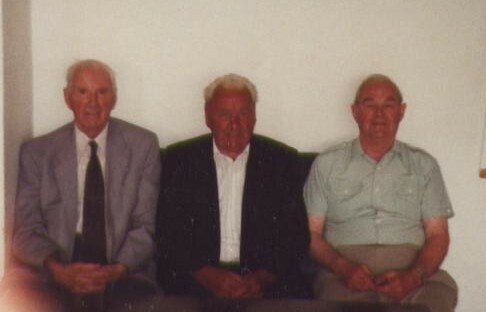 Front Row: Reg Challis,Derek Kitteringham,Jack Lovick,Frank Grunsell, Bill Head and Helen Lovick,Scorer. Albert Mead was Secretary and Umpire and Ernie Hastler was the Groundsman. 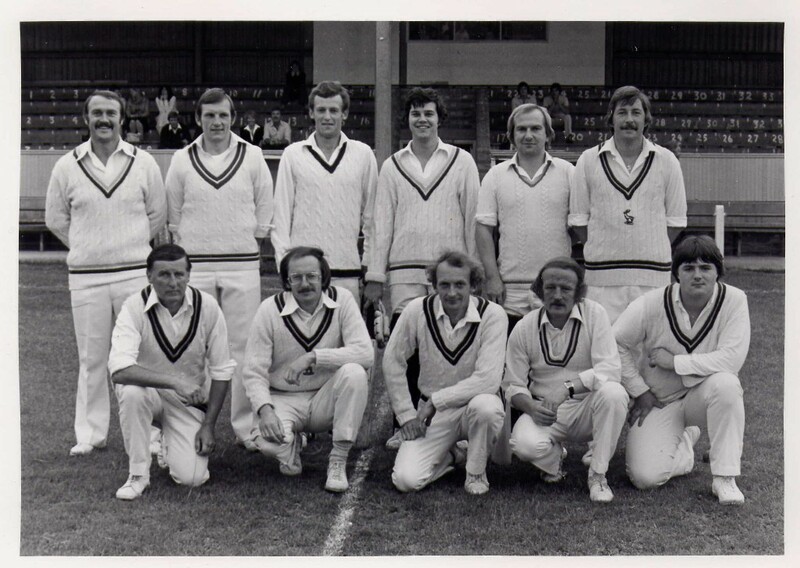 StMCC & Hoddesdon XI versus Hertford XI in a Floodlit match at Hertford Town Football Club's ground in 1980 in aid of the George Fuller Club for the Blind.